I have been hearing that there is some fundraising going on so thanks a lot for the support! Grade 6 is out here now for their year trip, they are all getting a good view of JO and her new home so maybe some of them can tell you about what they see. Here are few recent photos of Charlie and Tyler posing with Jo’s new tank. 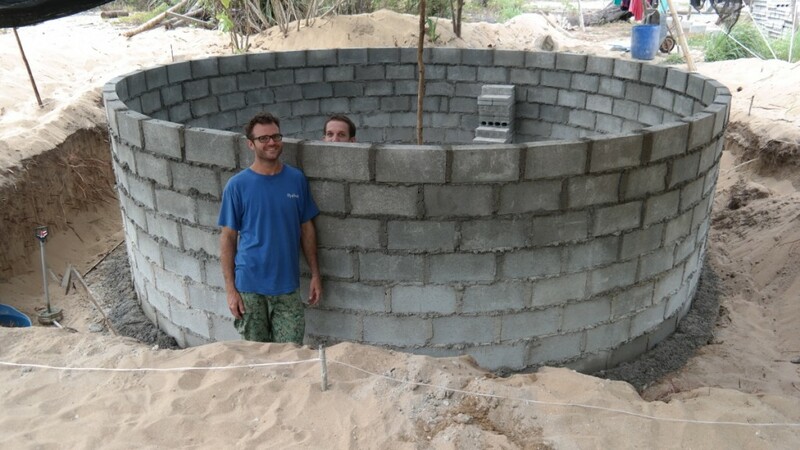 The block work is now done, ‘all’ that remains is plastering the outside, pouring a draining floor, painting, and of course setting up the filtration systems. The finished tank will be just a little bit deeper than it is now, as we will soon pour a reinforced cement ring around the top. As noted before, we have received a generous sponsorship by WaterCo for a pump and filtration system. We have also just received sponsorship for a great interior coating for the tank, from Jotun Coatings. Penguard HB is a coating designed for inside drinking water tanks, that’s to make sure there won’t be any chemicals swimming around with Jo in her new home! 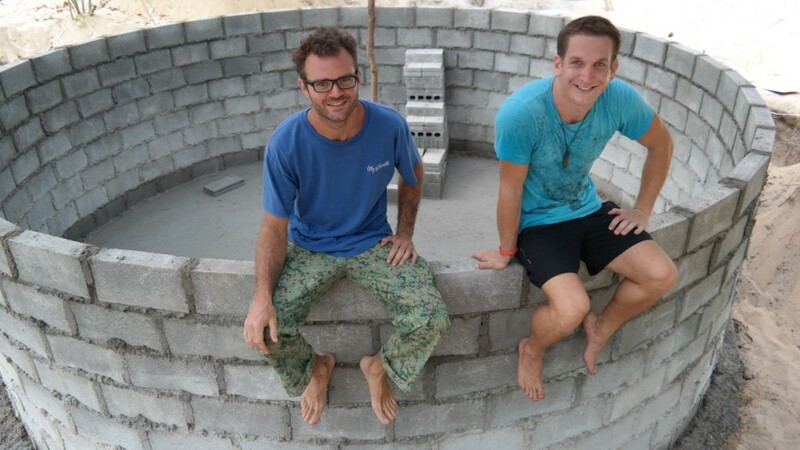 Besides volunteers and staff, we hired help from some Juara boys to pour the cement base, and will soon hire a couple of Juara’s finer craftsmen for plastering a smooth surface in the inside. Previous Previous post: Jo’s Tank in Progress!